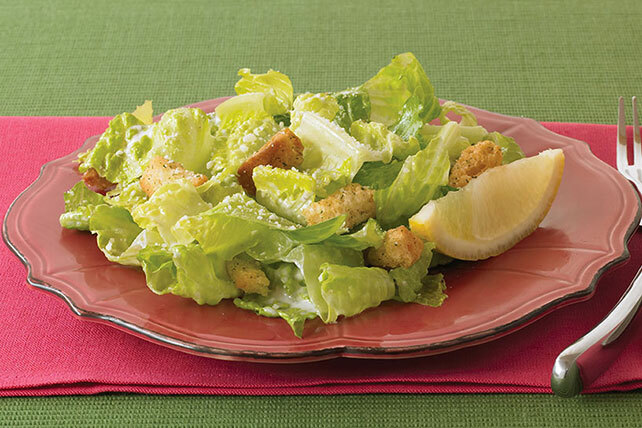 Take five minutes out of your day to make our KRAFT Classic Caesar Salad recipe. This classic caesar salad recipe is crunchy, refreshing and a bit smoky. Toss lettuce with croutons, cheese and bacon bits in large bowl. For added flavor, cut a garlic clove in half. Rub cut edges of garlic on inside of salad bowl before adding ingredients.